No modern business is immune to cyberattacks. Which means the key to your defence lies not in evasion, but in preparation. No business is immune to cyberattacks. Which means the key to your defence lies not in evasion, but in preparation. And that means having all the right controls and processes in place to respond to threats quickly and effectively. If you don’t, an attack could have serious impacts on your business, and response could take too long – if it happens at all. 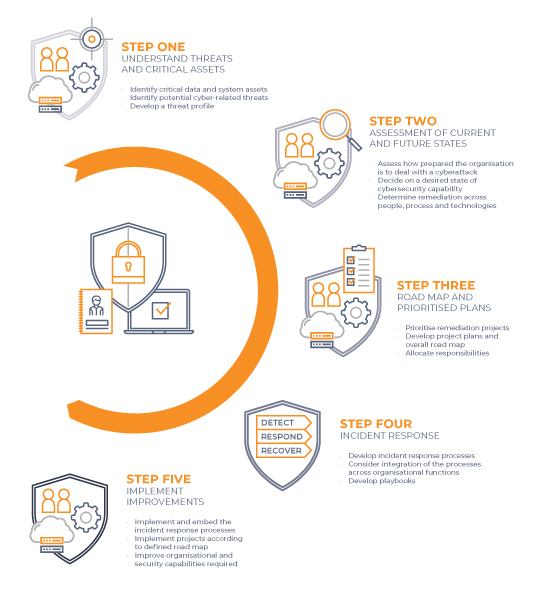 Mobius is perfectly positioned to help you prevent, detect and respond to cyberattacks. First, we help you understand your current risks and readiness, ensuring realism by deploying simulated attacks to probe your systems for unknown vulnerabilities. Then, assessment in hand, we develop your cybersecurity improvement plans and response processes, and provide a full suite of services to help you implement both. Destination reached, you will be fully equipped to respond to cyberthreats.